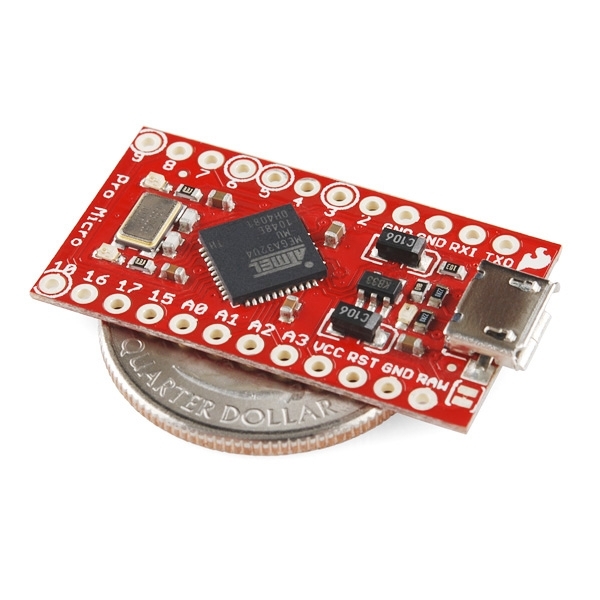 This tiny little board does all of the neat-o Arduino tricks that you're familiar with: 4 channels of 10-bit ADC, 5 PWM pins, 12 DIOs as well as hardware serial connections Rx and Tx. 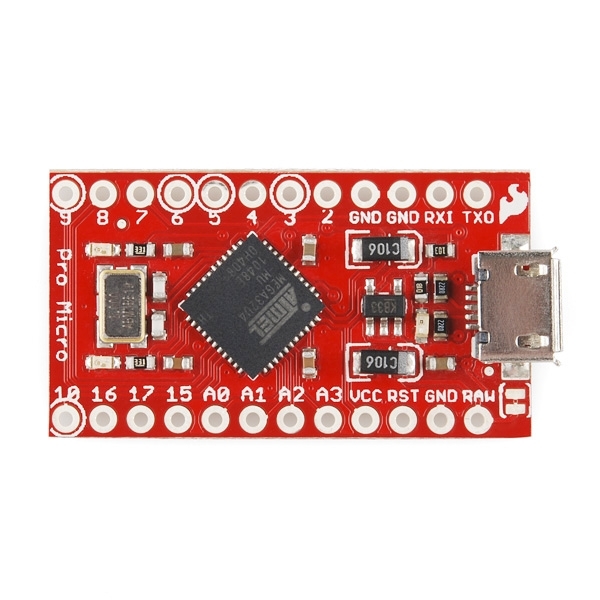 Running at 8MHz and 3.3V, this board will remind you a lot of your other favorite Arduino-compatible boards but this little guy can go just about anywhere. This is the 3.3V version so, as always, keep in mind the limits of system voltage and so forth. The lower system voltage also has its advantages, though, like ease of use with many common 3.3V sensors. Note: This board uses a modified version of what's known as the "diskloader" bootloader. This bootloader is still in its infancy so expect some glitchiness here and there. Also, because it works over HID you will need to install some drivers so that your computer will recognize it. A "readme" file in the driver pack below explains how to do this. Also, you'll need to unzip the "add-on" files below into a "hardware" directory inside your Arduino sketchbook (more detail in the readme). 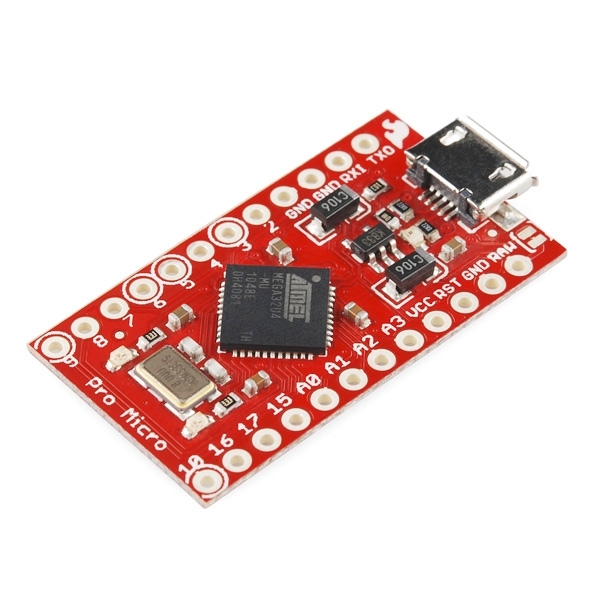 This will add the "SparkFun Pro Micro 3.3V/8MHz" option to the board selection menu. 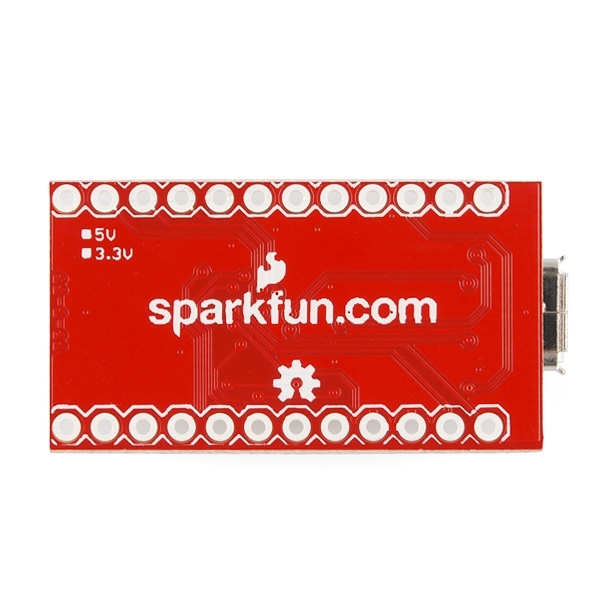 Sparkfun's smallest Arduino-Compatible Board Yet!